Mashed potatoes are high on the list of favorite comfort foods for most people. 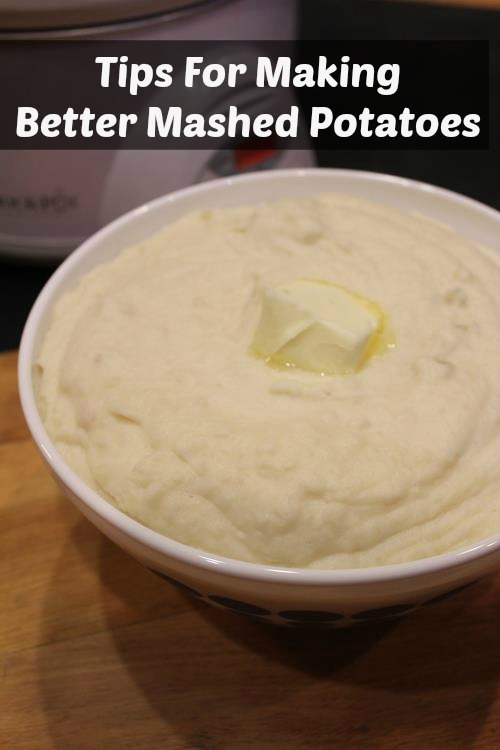 These three simple tips for making mashed potatoes will help make mashed potatoes easy and delicious! Mashed potatoes and Thanksgiving just go together. They are one of the side dishes that are a must make. In my house I can vary the side dishes that I serve, except when it comes to mashed potatoes. Mashed potatoes are not optional. Several in my family, including me, could probably skip the turkey part of the meal and be happy with just a big bowl of mashed potatoes and other sides. The sides are usually the star of the meal. Thanksgiving is next week. Can you believe it? November is going by fast. Because I love mashed potatoes and I know many of you do too, I wanted to share a few of my favorite mashed potato tips and recipes with you. Did you know you can make mashed potatoes in the crock pot? 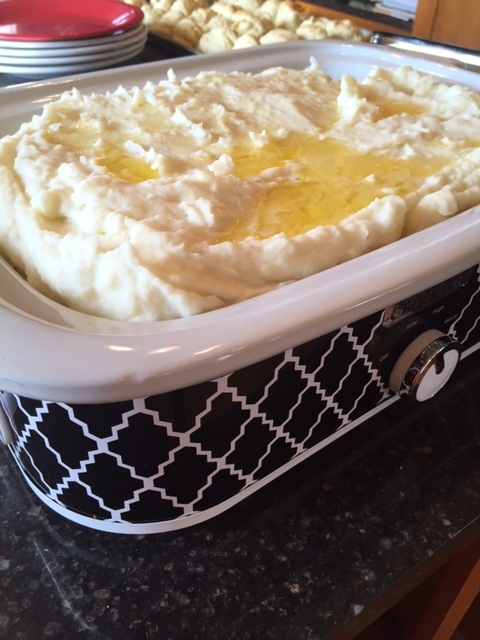 Crock pot mashed potatoes are one of my favorite ways to make them. I love that I can put them in the crock pot and forget about them. Crock Pot Mashed Potatoes cook in the crock pot, but you can also keep mashed potatoes warm in a crock pot. This works great if you want to cook your mashed potatoes early in the day. I love to use my casserole crock pot for this. It is a great shape and holds a lot of mashed potatoes! My last tip for making mashed potatoes easier during the holidays is a tip I learned from an older lady at church. It is one of my favorite make ahead holiday tips and it can save you so much time on Thanksgiving day. I shared it a few years ago and it is still a favorite. You can read about saving time for making mashed potatoes here. What is your favorite time saving tip for Thanksgiving? I would love to hear what you do to save time in the kitchen during Thanksgiving. Mine would of been to cut them up ahead of time also.it’s surprising how how nice they stay covered with water. I also like to place them back on the warm burner for a few seconds after cooking and draining to evaporate any leftover water. Then mash as usual. Being careful not to let them scorch of course. Happy Thanksgiving! I simmer my cut up Russets, drain. Add a scoop of regular sour cream, warm milk and butter. Beat until just fluffy. Reheat in the microwave! I promise the come out so fluffy. Been doing this for the last 10 years. One less thing to worry about. I sour cream is great with potatoes, so this sounds really good! Thanks for sharing.